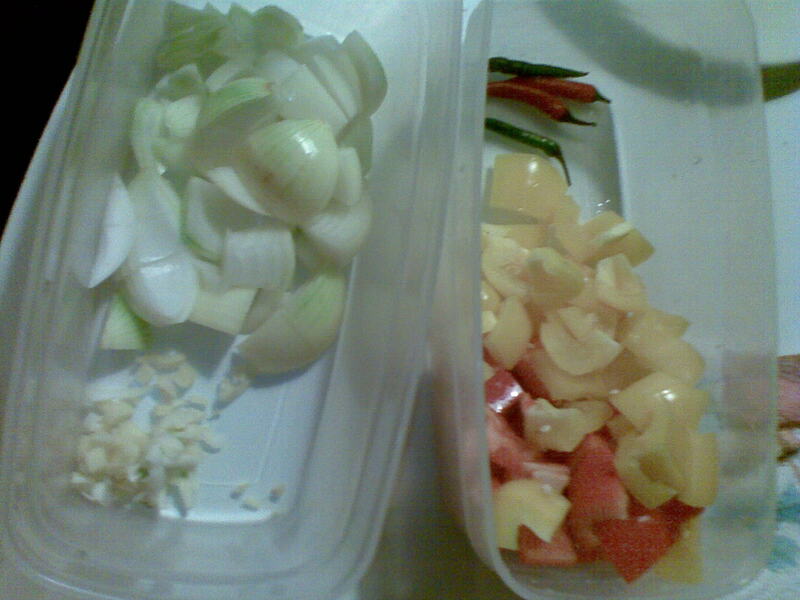 This is a nice vegetarian dish,very simple to make. 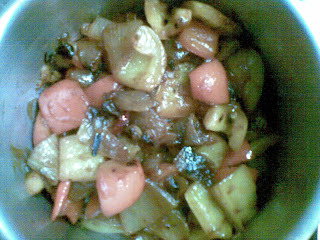 In a pan add the onions,garlic & ginger to the oil and fry till it becomes moist.Add the bell peppers & chillies.Fry till they get partly cooked.Add the ketchup,soya sauce & salt.Mix well and cover with a lid till the bell peppers get fully cooked.You can add little water at this stage. Serve hot. Thanks shweta...it is very easy...here it takes a little bit time coz the red & yellow bell peppers take more time to get cooked.Our very own green capsicum is best to use.